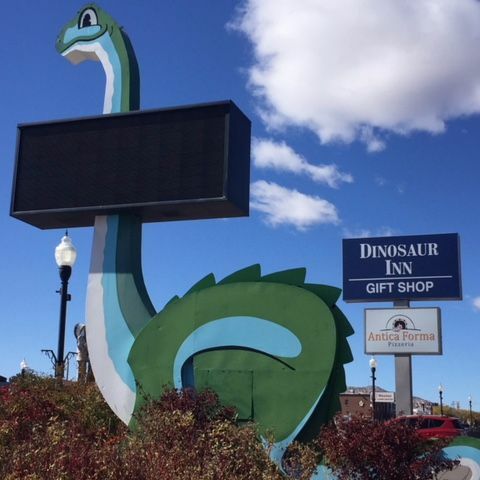 Locally owned and operated, the Dinosaur Inn & Suites is located in the heart of downtown Vernal, UT. We offer excellence in quality, comfort, and hospitality and have been doing so since 1929. 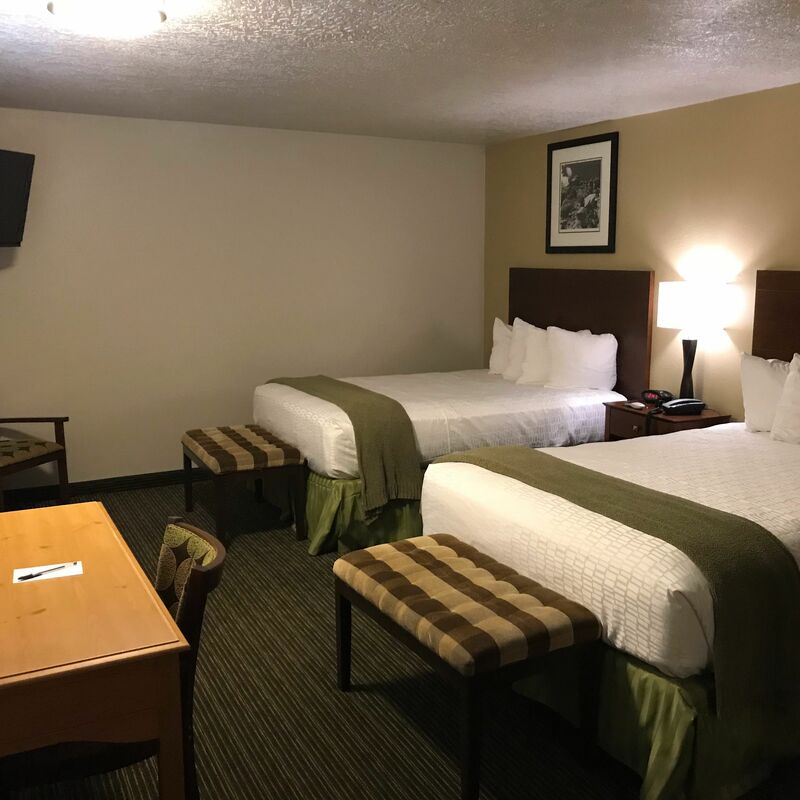 Relax in one of our large, spacious newly remodeled rooms or suites and enjoy a free full hot breakfast where we will cook your eggs to order right in front of you. All of our rooms have free Wi-Fi, high speed internet, fridge, microwave, Keurig coffee maker, iron, ironing board, and DirecTV with HBO and Cinemax. Cool off in our outdoor pool or take advantage of our award winning in house restaurant. 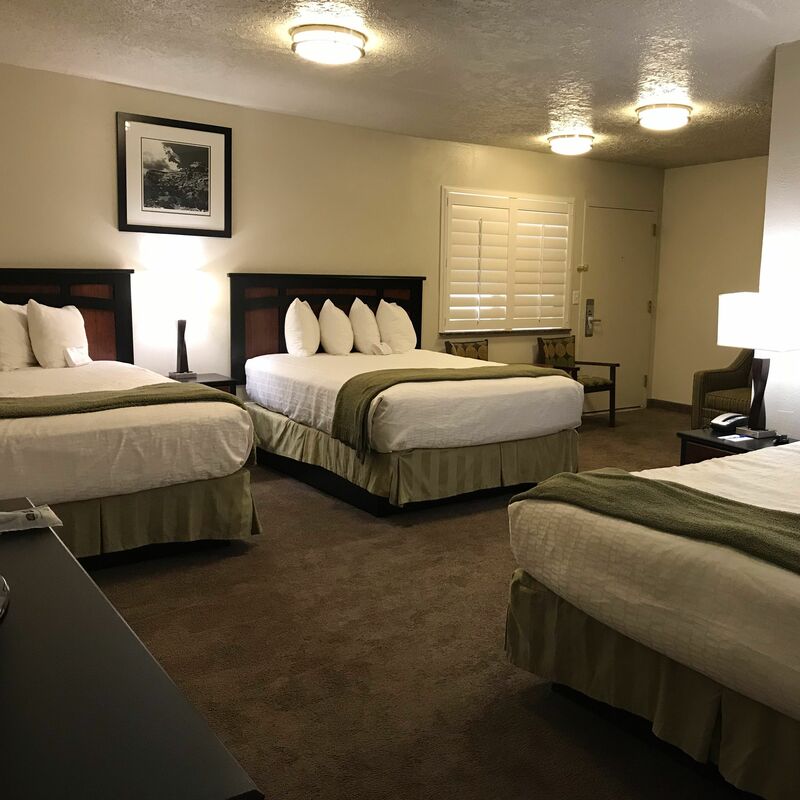 We also offer self service laundry, business center, picnic/BBQ area, family suites, rooms with double vanities, and rooms that are handicapped accessible. We are conveniently located with in walking distance of the Western Heritage Museum, Utah Field House of Natural History Museum, Uintah Conference Center, and Western Park and only a short drive away from the Dinosaur National Monument, Steinaker State Park, Red Fleet State Park, Dinoland Golf Course, and Flaming Gorge National Park. Whether you are visiting on vacation or here for business, our friendly staff looks forward to serving you and your needs! Our breakfast offers a wide variety of choices. From eggs cooked to order right in front of you, to bacon, sausage, hash browns, omelet, biscuit and gravy, waffle, pancakes, yogurt, fruit, cereal, oatmeal, muffins, bagels, toast, coffee, tea, juice, and hot chocolate, there is something for everyone. Restaurant, outdoor pool, self serve laundry, 24 hour front desk, daily housekeeping, private bathroom for each room, BBQ grill/picnic area, free parking, kid friendly, handicapped accessible, and smoke free. Some pet rooms are available upon request and a pet fee does apply.